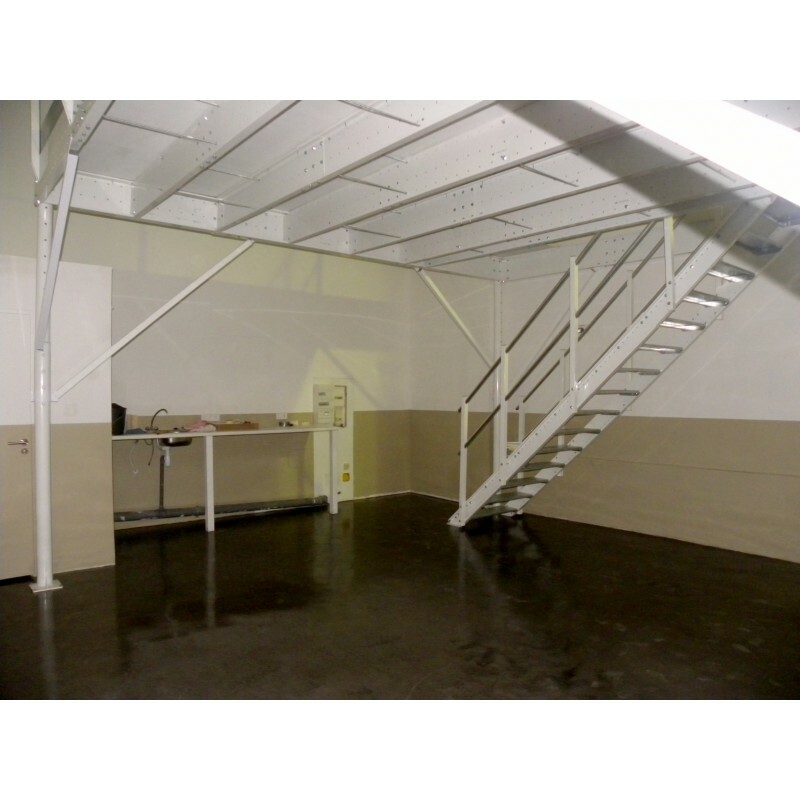 The Stability Bar L is needed when the mezzanine cannot be fixed to 2 or more walls. The kit consists of 1 bar and 1 clamp to join the stability bar to the pillar. 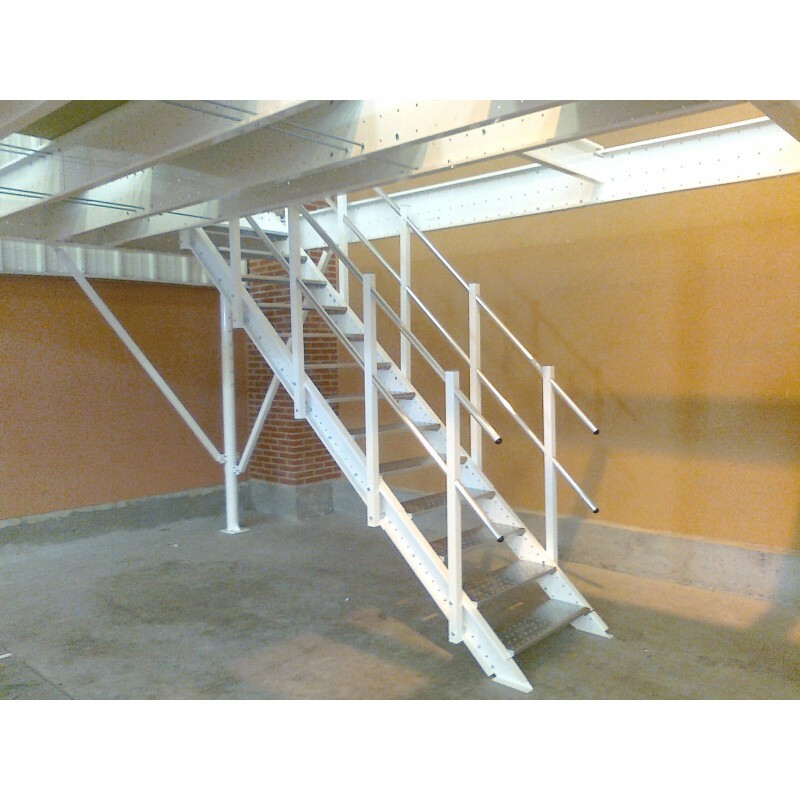 These elements allow the rigid connection of the pillar and the beams. The K-bracing system (shown in the left) is as safe as the classic cross-bracing system. 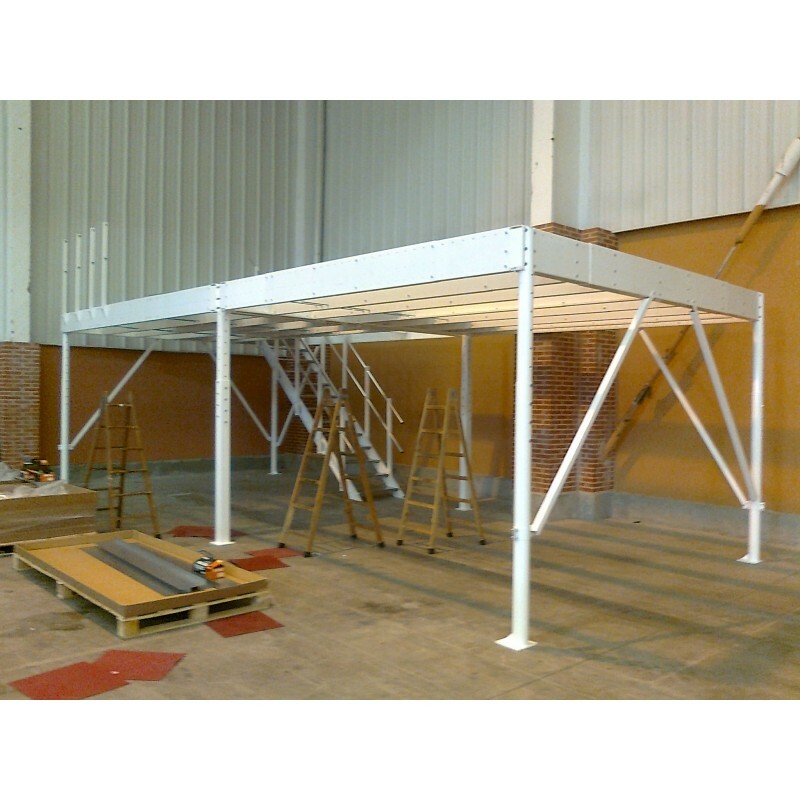 Moreover, our K- bracing system allows to pass freely underneath the mezzanine.